Meet Richard, The owner of our company. Richard fell in love with coffee(still remembers his first Guatemala Antigua!) in the late 1970s, and in the early 80's went to work for The Coffee & Tea Trading Co. in the Prestonwood Mall. He managed the store for many years, and began roasting in 1984 when the company bought it's first roaster; a Diedrich 12K. He filled the roles of manager, roaster, and green bean buyer, and created the company's flavoring program. He filled the same roles at Addison Coffee Roasters, as well as working with wholesale clients, and took over full ownership of the company in 2007. In his spare time Richard enjoys reading, vegetable gardening, and took up the sport of curling after the 2014 Winter Olympics. Vincent has spent much of his life in the coffee industry, including working as a barista at Torrefaziona Italia and opening and managing the coffee bar at the former Legacy Books. 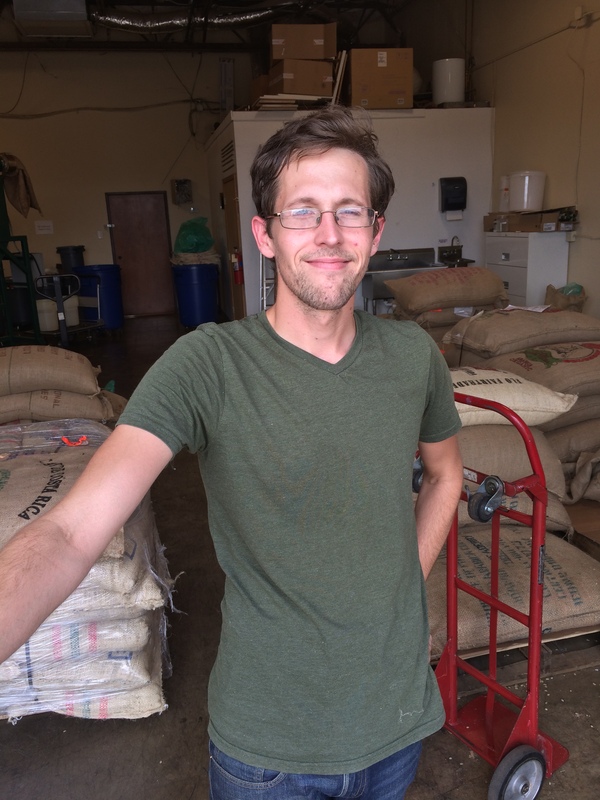 He walked in the door at Addison Coffee Roasters in 2007, wanting to discuss sourcing coffee for a possible coffee house, and has been working here ever since. Here, he learned the art of roasting, as well as other aspects of production. He also works closely with clients, including working on-site with clients to help them fine-tune their espresso skills and doing frequent demos at various Central Market stores. His true love is brewing and tasting coffee, honing his skills with pour over, espresso, French press, and other brewing methods. He is currently our full-time roaster. In his spare time, Vincent enjoys re-purposing things mainly wood and framing coffee sacks. Mike started in the coffee business in 1985, working part-time for the old Coffee & Tea Trading Company in Prestonwood Mall. There he learned blending, flavoring, roasting, and making coffee drinks. He also managed CTT's Town East store for a period. At Addison Coffee Roasters, he continued many of those duties. His focus now is on label design, customer service, packaging, and deliveries. In his spare time he and his wife enjoy traveling and visiting renaissance festivals throughout Texas. Having previously lived in Washington D.C., Louisiana, and Northern California, Ian currently calls Denton, TX his home. He adds a wonderful "mad scientist" aspect to our team, soaking up coffee tidbits wherever he can and conducting his own experiments. If you can't find him in Production, it's a safe bet he's chatting up a customer on the finer points of some obscure coffee knowledge. One of Ian's desert island albums is Flight of the Concords. His favorite quote: "My only constant in life is to remember to actually live it." Diane comes to us from Manassas, VA, where she was the food coordinator for 3 yrs with a disaster relief organization that traveled the country. Diane's favorite roast is a dry process African called Midnight Kiss and for our flavors enjoys a cup of Toasted Almond Cream. Diane started as our flavoring specialist and in a very short period of time, she has learned how to label, and package, and is currently training as a roaster. Diane also manages a coffee shop at her church and loves cooking. In her spare time she enjoys writing songs, enjoying good music, hiking and hanging out with friends and family. She aspires to start her own non-profit retreat center with a small roastery of her own, where she can cook and roast at her leisure.